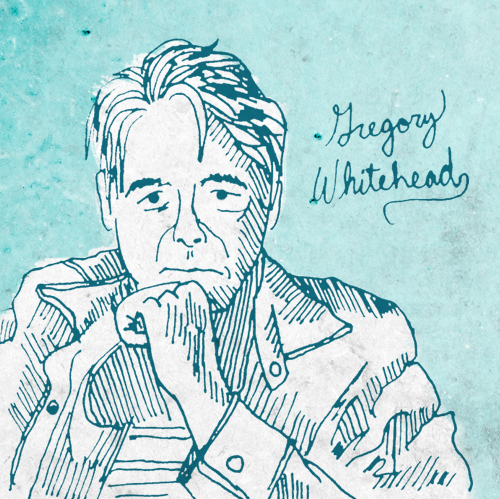 Mp3: Gregory Whitehead – If a Voice Like, Then What? JD: You, as you know, have been involved in trying to revolutionize radio for some time now, from its lackluster, commercially driven state and back into a form that could be an arena for artistic expression and poetics. What programs or initiatives are you currently involved in to hear this transformation take place? GW: I called my most recent challenge the “One Percent Solution,” that is to dedicate a mere one percent of the total revenues of public broadcasting and use those funds to create artists-in-residency for stations across the country. Participating radio/sound artists would be charged with the mission to cut against the flow, and to add moments of surprise, mystery and even disruption; radiophonic adventures that would celebrate passion and possibility rather than the normal diet of bread, butter and bologna. I offered my own time, for free, to be a sort of floating mentor or catalyst, and to brainstorm ideas. Alas, not a single station took me up on the offer. My main argument for many years has been over the question of diversity. Public broadcasting has done an excellent job in achieving a relative diversity in certain dimensions – ethnicity, race, gender, regionality – but as for aesthetic or poetic diversity, well, it simply does not exist. Yet aesthetic diversity is what feeds the imagination, sub rosa, and with everything compressed into such a tight format and vibe, the imagination withers. All that said, I learned long ago that I am not a missionary, and to focus on my own work, and to float acoustic or poetic or stylistic possibilities, there. Beyond that, my ears are ever open to new producers and artists, and I do whatever I can to help them in their own navigations through the fog. There are also the numerous and varied alt. spaces, whether on air or off, offering a rich brew, though for small audiences. One could say, “Well, isn’t that how it should be?” The answer is “Yes,” in so far there is always a margin, where much of the ferment is to be found, but in healthy cultures, one would hope to find a dynamic relationship between the margins and the mainstream, and that is what is missing in the current system. My “One Percent Solution” seemed a fairly low risk, high return way to restore some sort of dynamic, but the idea was met with stony silence, which is a real shame, as there are dozens of young radio and sound heads with serious chops, and no place to take them. JD: Where do you think this silence comes from? JD: What to do? What comes after the silence? GW: I would much rather commit energy towards fanning the embers, than screaming into the ice box, though I admit I do scream into the ice box from time to time. To shift the metaphor, I also like to remind a generation used to various forms of “surfing” that the stronger the wave, the stronger the undertow, and so it’s not surprising that at the same time that the mainstream becomes more of a crushing commercial tsunami, there are also all sorts of rips and eddies and backwashes, whether via net radios or pirate casts or small community start ups. Festivals such as Third Coast, Megapolis and Deep Wireless also play a very useful role, to build an alternative community of both producers and listeners. JD: What redeeming quality do you see in radio specifically, to focus your energy so resolutely in its resurrection? GW: Over the past ten years, I have watched Tetsuo Kogawa build perhaps ten microradios, in real time, and each time everyone in the room is completely and almost hypnotically focused on this simple act of electronic creation. When the first crackle charges through the air, there is this sudden explosion of joy and affirmation. To me, this gives a very clear signal that the magical quality of the medium still lives, if we are brave enough, and humble enough, to enter into the flow, and try to make something from it. JD: What motivates you to keep doing what you’re doing? GW: I suppose what keeps me going is a deep and passionate belief in the human imagination, and the need to imagine a different sort of future, or any sort of future, before we can actually live it. Of course, the imagination cuts both ways, and I always remind those who assume that radio is somehow intrinsically redemptive and healing that for every broadcast that brings people together, there is another broadcast that blows them apart. The “SOS” that is so much a part of the the founding days of radio can be decoded as either Save Our Ship or Sink Our Ship; the radiowaves are choked with corpses, as well as dreams of a universal community. Sound waves have the potential to move us in the most profound waves, but they are also increasingly being deployed as weapons of disorientation and suppression, and even torture. I am aware of this tension in every radioplay or voxcast, and try to give it a voice. Does this effort make a difference? I really don’t know. I accept that I am not Orpheus, with a voice that can shift the course of rivers! Then again, I don’t want to be Orpheus, because I don’t pretend to know where the river should go! All I can do is create spaces of freedom for attentive listeners, the freedom to make ther own associations among ideas and characters and stories, and take them where they need to go, not where I want them to go. In that freedom, there is possibility, but not necessarily something I can anticipate in advance. For example, I made “Dead Letters” way back in 1984, and it is still teaching me things today, connections that I may have been intuitively aware of back then, but certainly could never have articulated. That spirit of openness and unplanned possibility is what makes it a successful bit of radio play, still being broadcast, every year. JD: Have you performed in a museum before? Regardless of your answer to that question, could you write about the importance of reaching an audience through radio, when an accepting and eager audience awaits you in other settings, such as museums, and art spaces. Does this have everything to do with the form of the radio, the “disembodied voice,” and not neccesarily who is listening or how many people are listening? Your thoughts. GW: I have done a number of projects in galleries and museums, but as you suggest, I am far more intrigued by the anomalies and unknowables of radiophonic space, above all, via analog broadcast. I love the ambiguity on both sides of the equation: the listener doesn’t really know who I am, or where I am coming from, and I have an equally tenuous grasp of who may be out there, in the dark. Then the broadcast is itself unstable, always breaking up and on the fade. So there is uncertainty everywhere, and somewhere in the midst of the uncertainty, the possibility for some sublime poetic moment of communication, completely unplanned and unexpected. Digital radio of course eliminates the entropic and random aspect of broadcast and thus guts the poetry. In fact, digital radio is a contradiction in terms; digital delivery of acoustic information cannot be “radio,” since the relationship to public space is so different. So who knows – perhaps I have no choice but to seek sanctuary in the museum in the future, though I can’t help but to hear that as a kind of retreat. This entry was posted in Interviews, Johnny Disaster and tagged greg whitehead, gregory whitehead, mystics, porch, radio. Bookmark the permalink. Wunderbar! Und still so passionate – after all these years! Gut Mann!